Trello is a great project management tool. Take this Financial Planners Local Search Results Package for example. 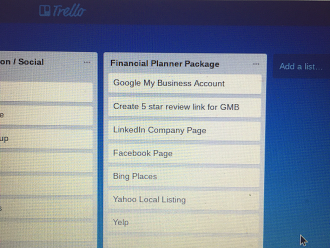 The “Cards” you see in Trello are the starting point. We start every client with an audit. We have sure the most valuable search signals are claimed, correct and optimized. As we go through the Audit, Trello makes it easy to note what is accurate and what must be fixed. Search results differ from city to city. We use check list based off your location your industry and based off the activity level of your competition. We can create a custom plan for your business. 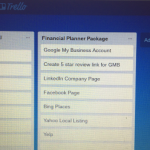 Trello’s use of cards in columns is a great way to organize task by frequency(daily, weekly, monthly task) and order. For a simple example Financial Planners must have a LinkedIn Company Page 👍 We then check the text/image content of the company page. Are there any job listings? Should there be? How many employees are connected to the page? The more active you are on these online communities, the more visible you are to your customers. Interested in ranking hiring in Google when customers search for you or what your business does? We should talk today! 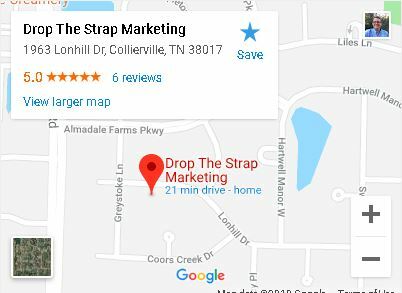 This blog post was repurposed from a GMB post.